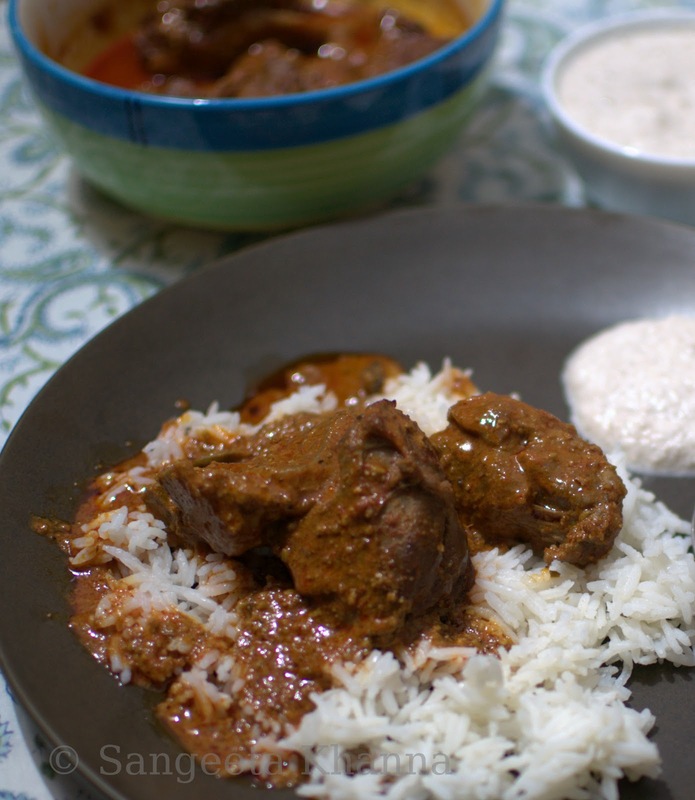 What a minimalist platter of Roghan josh, plain boiled rice and Akhrot mooli ki chutney does to you? The simplest of meals can be the most satisfying for me. I see myself gravitating towards the minimalist recipes, minimal processing of the food in terms of cooking for few years now. May be because life makes you learn a lot of things as it throws different challenges at you. Earlier I used to prepare a full course meal every time and then fuss about how to finish everything right on the table. I would go insane when cooking for guests and prepare a whole lot of things in my frenzy. Loads of leftovers were given as parting gifts many a times and it almost became my identity, and it was not in a very distant past. Say a decade back. A lot has happened since then. Things are very different now. The approach to cooking food changed, more nutrition per meal and more taste and enjoyment in every bite is the motto now. And that counts cooking the meals in a relaxed way, not to tax myself with too much cooking so I crib later to finish the food right on the table or managing the leftovers. 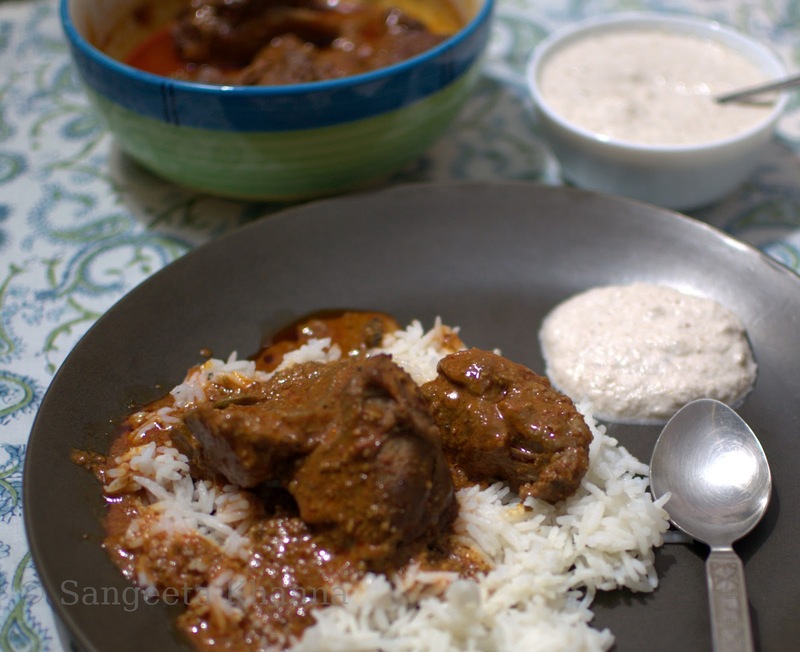 This meal of Roghan josh, Akhrot mooli ki chutney and plain boiled rice explains just that. The recipe is adapted from Anshie's blog. Heat mustard oil in a thick base pan and let it come to smoking point. Put the gas off for a while till you add the first few ingredients as to prevent burning of the ingredients as well as any burn injuries on your bare hands. Add hing and mutton pieces and bring back the gas flame, sear the meat for a few minutes. Add the fennel and dry ginger powders and mix well, keep cooking for a minute or two on medium flame. In the meanwhile, whip the yogurt with red chilly powder and start adding the yogurt chilly mix in small batches. Stirring and bhunoing the mutton all this while. In three to four batches the yogurt chilly powder mix will be used up and the cooking mixture will be nicely red and glazed. Takes about 20 minutes. Add about half a liter of water and salt to taste and simmer on low flame for about 40 minutes, covered with a well fitting lid. Check in between to see if there is enough water in the pan to prevent the meat from burning, add more if required and continue cooking till the meat is done and the gravy is thick like a slurry, coating the mutton pieces well. The mustard oil will be floating on top of the cooked meat, all pigment from chillies extracted and this part of the dish is called Roghan. Serve hot. The dish improves with time and you might like to cook Roghan josh a day in advance if you have to impress someone. The Akhrot ki chutney is very simple. Just a handful of Walnuts (25 gm) is ground together with a medium sized white Radish (100 gm) slices. Just salt to taste and a creamy tangy, nutty chutney is ready. The combination is made in heaven. The chutney is a nice substitute to raita with rice dishes like Tehri/Tahiri too. 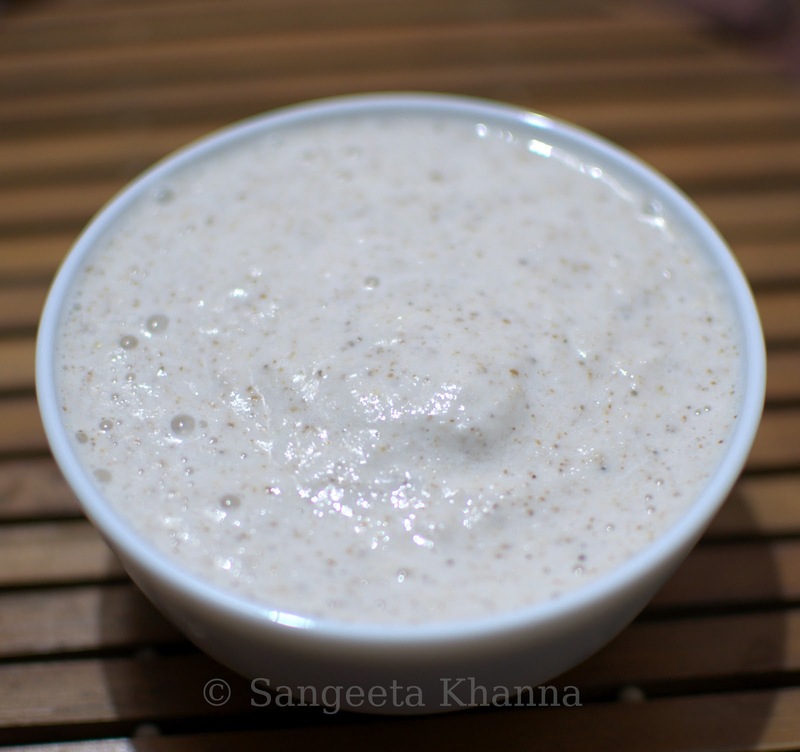 I have posted a Tehri recipe with a different version of Akhrot ki chutney long back. With radish it becomes a different thing altogether. I can see the digestives in Radish helping the meat to be digested well, but you wont make it for the meat being digested well, it will purely be for the good taste and good companionship on your plate. Try this combination sometime if you haven't already.